Burkhardt + Bischoff | Burkhardt + Bischoff GmbH+Co. For more than 60 years we have made and kept this promise counting on our own production team. 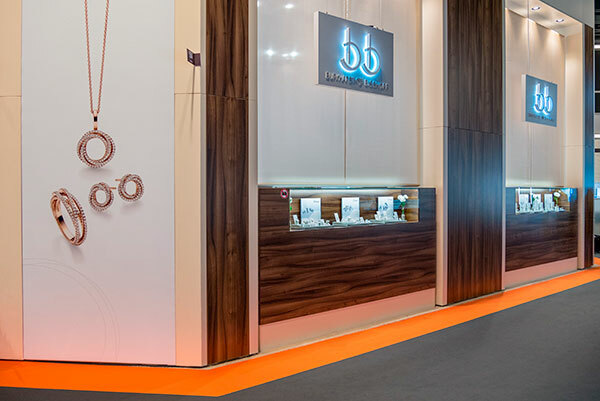 This confidence in our skills and the aesthetic power of our jewellery is based on our company’s lively philosophy expressed above all in reliability and the personal relationship to our business partners. Bearing in mind these values and dividing our collection into three lines we never stop developing. With our lines bbBasic, bbSense and bbLux we will be able to satisfy market needs even more specifically in future. It is our ambition to be brilliant in times to come using selected materials and creating an even wider variety of styles. Today jewellery is above all the expression of your individual personality. Closely related to the bearer, jewellery does not only convey personal feelings but as well an individual lifestyle. This style reflects itself on the one hand in the selection of materials – on the other hand in design. Original or conventional, puristic or representative – in the end every single piece of jewellery has its charm in the fascinating interplay of form and colour. We of the b+b team consider it our task to re-interpret this fascination again and again. You can get a first impression at “Jewellery”. Or you can arrange a personal appointment with our sales team. We look forward to getting to know you! Working on an international level means above all one thing to us: being close to our customer – and his wishes. From our locations in Keltern (Germany) andBangkok(Thailand) we are in permanent contact with our partners so that we are able to realise our customers’ wishes without delay and with professional efficiency. 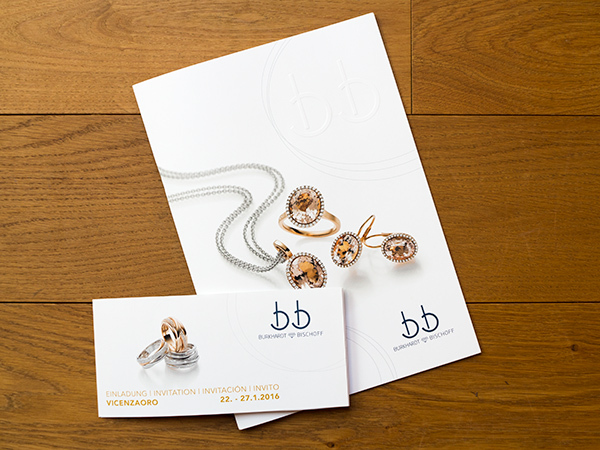 We at b+b will keep doing anything we can to offer our customers the personal contact they are used to at any time. At the international trade fairs or during the business trips several times a year – at b+b there is always your personal contact who speaks your language. 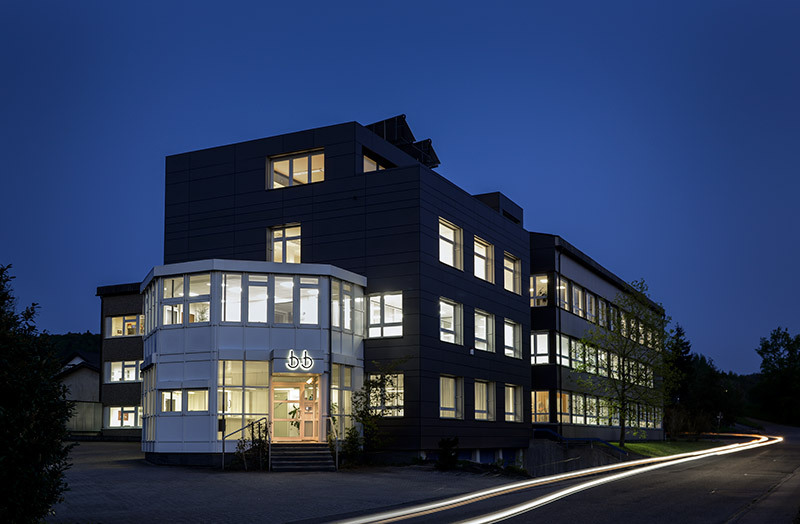 b+b Burkhardt + Bischoff GmbH + Co. KG are a medium-sized industrial company. At our head office in Keltern / Germany as well as in our subsidiary in Thailand we have a total of 290 employees. Our appearance and acting towards business world are determined by our business policy depending on a strong feeling of responsibility towards society, environment and the enterprise. In order to achieve sustainable economic success we count on appreciation, openness and transparency as crucial values which are indispensable for cooperation within and outside the company. Being jewellery manufacturers we process precious metals and as such we feel obliged to be member of the Responsible Jewellery Council (RJC). The RJC is an organization that has set rigorous standards in the jewellery supply chain in order to promote ethical responsibility, human rights and socially respectively environmentally friendly procedures. RJC has its focus on responsibility in the processing of diamonds, gold and platinum metals. The RJC has developed a benchmark standard for the jewellery supply chain. In addition, reliable mechanisms have been elaborated to verify responsible business practices by independent auditing and examination. As members of the RJC we commit to operate our business in compliance with the RJC “Code of Practice”. We hereby declare that we will consider ethical and ecological aspects in our operative business and planning as well as respect to human rights in our decision-making processes. We furthermore support the Kimberly Process established to stop trading with conflict diamonds and make sure that no diamonds are purchased from unknown suppliers, doubtful sources, countries or regions not abiding by the Kimberley Certification System. Precious stones not complying with the standards mentioned above are automatically refused respectively returned to the supplier. Another important element of our business policy is to take precautions that business partners or third parties are not given advantages to achieve business transactions. It is explicitly forbidden that members of our staff accept financial gifts or donations of other nature for personal enrichment from customers or suppliers.